It used to be the case that a term like "custom software" would instill fear in the hearts of the companies who heard them. This concept relegated powerful executives to hiding under their blankies for fear of the big, bad, development-monster in the closet. Custom development used to be a last resort because these types of projects were very painful and expensive in the short and long term. This was in large part because the software engineers who built them used a proprietary architecture that only they could understand. This meant that you were beholden to said team anytime you needed technical support, tweaks or minor changes which could mean waiting months until you got any sort of help. These are companies who have typically outgrown a process and are treading water by putting band-aids on the wound of inefficiency. You'll know this is the case if you hear constant grumbling from your team. It generally sounds like, "Why do I have to click on so many screens just to get my job done?" In the world of CRM, this is generally one of the driving forces behind a redeploy - lost efficiency from the original software launch. More often than not, this is simply a growing pain of scaling your organization. We find that this is a common through-line that spans all verticals and markets - as your business grows, the processes that worked when your company had only 25 users are now struggling with limitations in the same software at 100 users. The Problem: You're struggling to shoehorn your users into a confining piece of software. Imagine a call center environment where servicing your client base depends on making every second count. In order to service your client base, users have to keep a minimum of 5 different screens open just to get the information that they need. By molding your business process around a piece of software that wasn't built to scale, you're risking CSR frustration and potential burnout. Instead, build custom software to reflect and support your process. Many companies in this situation choose to build a custom user interface (UI) that houses all of the pertinent information they need to service their clients, without having to navigate away from one screen. This "home base" pulls data from throughout the entire application to display it so that users can consume and update all important customer information while impressing your customers by servicing them in a logical, intelligent way. The cost of human capital (especially due to turnover) is one of the most expensive dollars a company will spend. By building out a CRM workflow that is specifically tailored to your business process, you increase employee adoption and ease of use while saving in the long run. You're struggling to make disparate systems talk to each other. These are companies who use many different tools to service their client base (BTW, this is an inevitability of doing business). But at a certain point, people trying to log into too many different systems gets cumbersome, especially if their roles only require very little information from ancillary systems. Imagine you have a national sales team who is constantly hungry for fulfillment + financial information. Your Operations and Finance teams work out of an ERP, but you can't give the sales team access to those systems due to security restrictions. The sales team is constantly bombarding Operations and Finance with emails and calls to find out the status of their customer's order or customer payment information and now you have an interdepartmental feud because they all hate each other. At the same time, your customer service team is blissfully ignorant of all this. They are cooking with gas on a killer service ticketing tool but it doesn't talk to the CRM so nobody else in the company can see any of their heroic efforts that keep your customers happy day-to-day. And to make matters more complex, in the event of an unhappy customer, the other departments can't proactively reach out to the at-risk customer who has submitted three service requests this month and the client relationship takes a hit as a result. Finally, let's not forget about the Marketing team, whose main goal is to generate leads for the sales people in their marketing automation tool. But Sales can never fully appreciate the great lengths Marketing has gone through to garner customer engagement because key qualification metrics (like number of website visits, number of click-throughs, webcasts attended, etc.) never get into CRM in the first place. As a result, the Sales team burns through leads, then complains about lead quality. And who could blame them? Without these key metrics, they can't strategically follow up with anyone because all of the leads look exactly the same. The Solution: Un-silo information through a custom integration. Any of the above examples sound familiar? You're not alone. I talk with companies every single day who struggle with this exact same narrative, and it could be a sign that a custom integration between systems might be the right call. By building a bridge between 2 systems, you give users access to the data that is integral to their jobs, without having to ask other departments to move mountains in order to do it. The third most common (and frankly the most exciting) reason why organizations look towards custom software is because they are forward thinkers who are looking for a solution that doesn't exist yet. These are companies at the forefront of their industry and they believe that the ability to 'see the forest through the trees is their biggest differentiator from the competition. They are not going to wait for someone else to develop a market solution, they are going to build it themselves and smile while the market struggles to keep up. I'd love to reduce this to a single example, but I believe it would be doing the disruptors out there a huge disservice. So, in my next post, I'll concentrate on this use-case specifically, with several examples of thought leaders out there who brought their big ideas to fruition through technology. 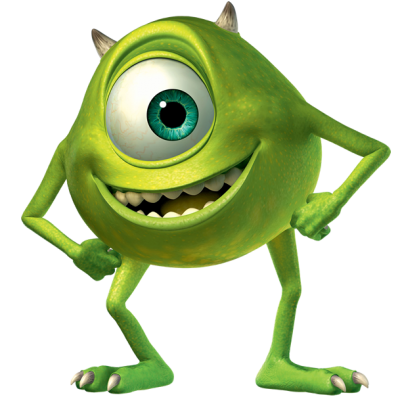 I'll unpack both the "why" and the 'how' in greater detail because I think the real-world applications of successful custom software builds that I have spearheaded will help show you that the scary custom development monster in the closet looks less like an ugly monster and more like Mike Wazowski from Monster's Inc.